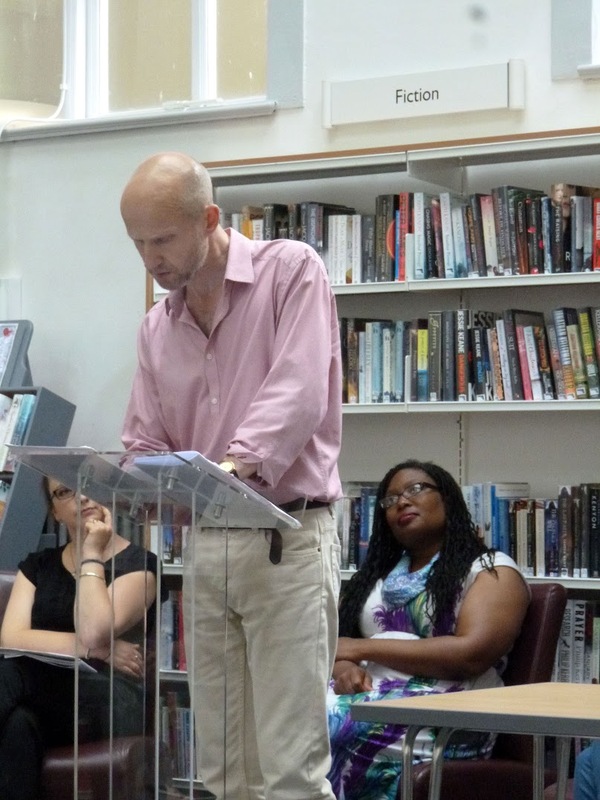 Pearly light still shone through the windows on the 3rd July as the North West Literary Salon started. Guests gathered inside Lancaster Central Library before 7pm – literature students, authors, readers, story lovers, artists, family and friends – all craving music, stories and tasty snacks. Thanks to the First Friday initiative, Litfest, and funds from Lancaster University, we can celebrate the first Friday of every month like this! Irish protagonist and is set in France during the Second World War. Is it not great to have our favourite authors sharing previews like this? In the end Yvonne and Naomi led a discussion in which various aspects of writing came across, such as the challenges of becoming a full-time author – Jo confessed to writing everywhere, including hotel rooms when travelling around the country to promote her books – and the difficulties of setting a plot in the past. Is it possible to understand the moral values of hundreds of years ago – John pointed out – with a contemporary mind? And, finally, the wonderful catered food – guests agreed the chocolate brownies were dangerously delicious – and we topped the evening off with the chance to talk to the authors informally, buy their books – you can have them signed! – chat with friends and meet people who love reading. Sounds good, doesn’t it? 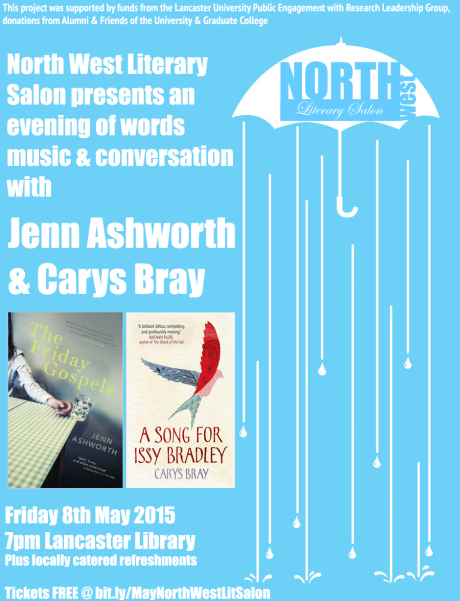 Are you joining the next North West Literary Salon in August? Did you know about the intense love life of Lizzy’s housemaid in Pride and Prejudice? Or what happened in Blackpool when Beckett released Waiting for Godot? Cure your curiosity this 3rd of July by attending the North West Literary Salon held in Lancaster Central Library at 7pm. 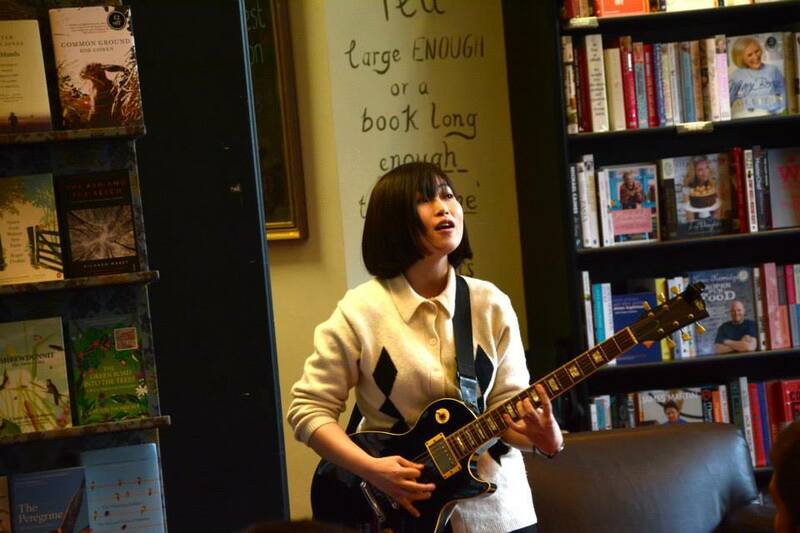 Yvonne Battle-Felton – PhD student at Lancaster University – and Naomi Kruger, – alumna from LU – authors and gentle hostesses, will introduce you to local authors Jo Baker and John Schad while the talented musician Fumina Hamasaki will make you shiver with her voice and guitar. Don’t forget the locally catered food – highly praised in past Salons. And thanks to the First Friday initiative, Litfest, funds from the Lancaster University Public Engagement with Research Leadership Group, donations from Alumni & friends of the university & Graduate College all this fun is for free! 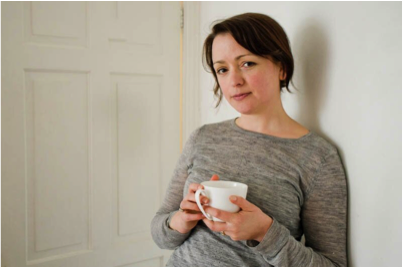 ‘If I’m not writing, I’m not comfortable in my own skin, I’m itchy,’ confessed Jo Baker. She started writing professionally in Belfast, where her first novel is set. Her last work, Longbourn – a reinterpretation of Pride and Prejudice told from the perspective of the servants – is currently being adapted for the cinema . Jo was also interviewed at The Writing Life, where she discussed becoming a full time author – find some tips here. 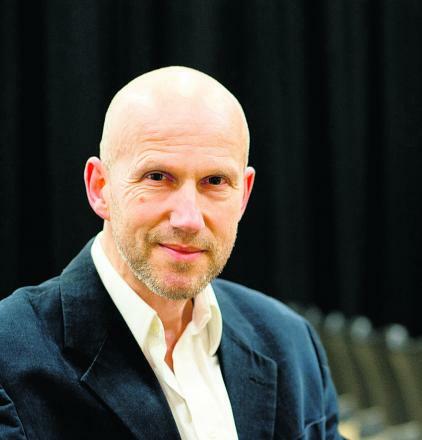 John Schad is a Modern Literature professor at Lancaster University and pioneer in creative-critical novels – curious about this genre? Why don’t you come and ask? His first novel, Someone Called Derrida, has a theatre adaptation, was released in The Dukes and is also making its way into cinemas – check out this brief trailer video. His second novel, The Late Walter Benjamin, depicts the journey the philosopher made to England in 1948 – he died in 1940, but who really knows? ‘People who are not bored cannot tell stories’, said Walter Benjamin, and I would add that listening to them is an equally good cure to boredom. 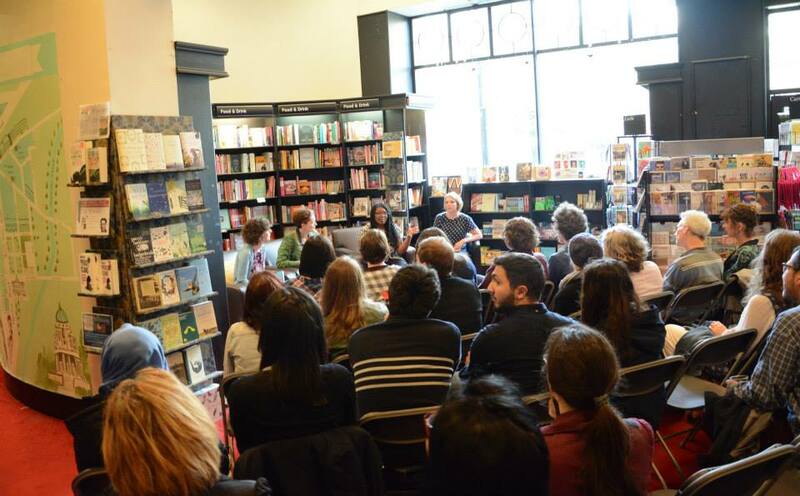 Come to the North West Literary Salon, where Lancaster’s artistic community gathers – you can meet and share ideas with international students and local artists. So, after a busy week, treat yourself to a literary evening! This is the first in a series of blogs by our current writer-in-residence, Inés Gregory Labarta. In June we teamed up with Lancaster Arts City First Fridays to hold our second Salon at Waterstones, Lancaster. This time it was all about the short story. 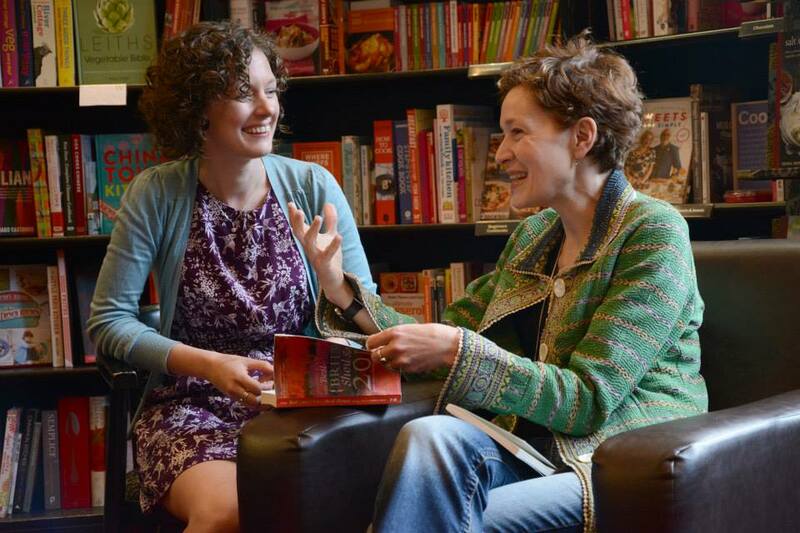 Carys Davies and Claire Dean mesmerised the audience with tales of magic, landscape and suspense. The following discussion ranged from questions about how difficult it is to write about a place you’ve never been to the state of the contemporary short story and whether happy endings are possible for any fiction set in the grey and rainy North West. With thanks to Lancaster Arts City for the photos. 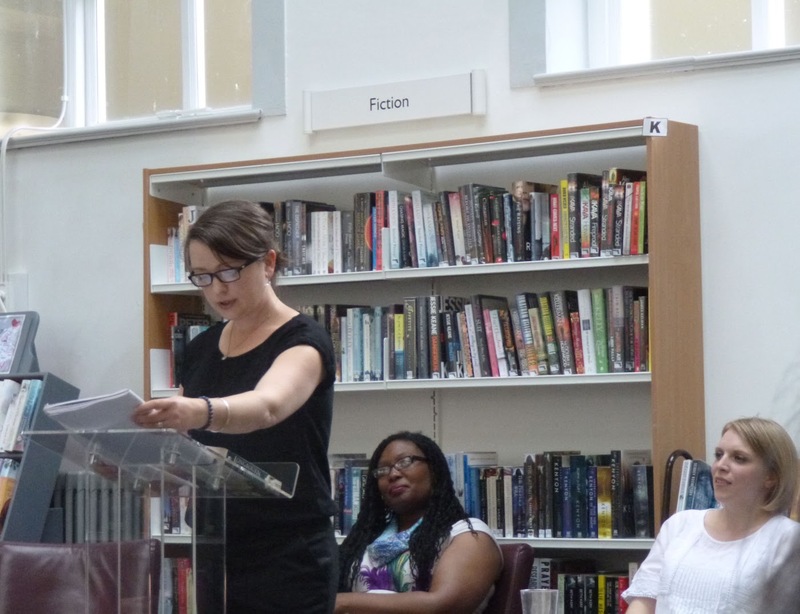 On May 8th we held the inaugural North West Literary Salon at Lancaster library with local authors, Jenn Ashworth and Carys Bray sharing excerpts of their most recent work. The event was standing room only, with over forty people coming to listen, enjoy live music from Rosa Francesca and take part in a lively Q&A session. Both authors’ most recent novels (The Friday Gospels and A Song for Issy Bradley) are set in the North West and centre around Mormon families negotiating faith and doubt in times of crisis. This fed into the discussion that followed, with Jenn and Carys speaking eloquently about the challenges of drawing on autobiographical material, finding a balance in communicating information vs giving the reader space, and finding a place in the publishing industry.